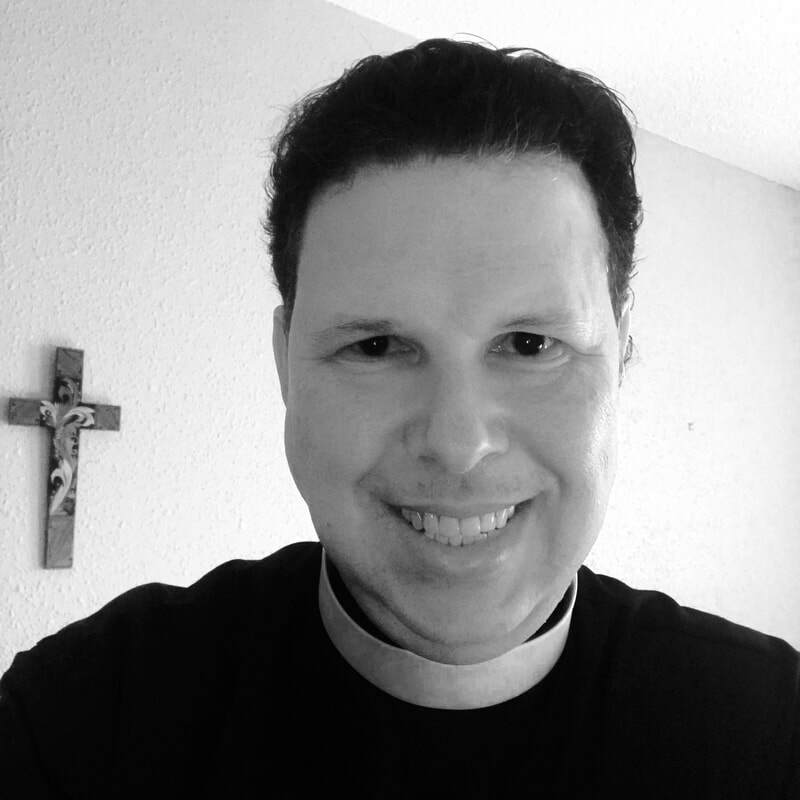 The Rev'd Dr. Randall M. Graf was born and raised in New Orleans, LA. As a child, he always had an interest and passion for music and in fourth grade he had the opportunity to learn to play trumpet for his school band at St. Catherine of Sienna School. By the Spring of his fourth grade year, he was playing trumpet regularly during Mass at St. Catherine Church. As a teen in the 1980s, Graf’s musical interests expanded to include guitar, keyboards and drums and throughout high school and college, he regularly played drums in local rock bands. By 1997, Rev'd Graf had completed undergraduate and graduate degrees from the University of New Orleans and Louisiana State University in Baton Rouge, including doctoral training in psychology. In 1998, with his formal education behind him, Dr. Graf was again able to devote more time and energy to playing music in church and became a part of a praise band at Good Shepherd in Metairie, LA. As his music ministry blossomed, the Lord planted a seed in his heart to compose original praise and worship music and to preach the Word. In 2010, Graf completed his ministerial training and was called by Good Shepherd to be one of their pastors. Rev'd Graf's theological training includes graduate course work from the New Orleans Baptist Theological Seminary. A skilled Christian psychologist, a dynamic Christian preacher, and a gifted Christian musician, today, The Rev'd Randall Graf, aka "Padre", lives in Metairie, LA with Renee, his loving wife of over 25 years and their daughter Madison.